I mean sort of? Or maybe just throws it all away and brings out a much different plot. So back to the police station where Chloe accidentally tells Ella about Pierce’s dead brother and Ella continues to obsess over him in a way which would be kind of cute in a teenager and is vaguely creepy and deeply unprofessional in an adult towards her boss. Boundaries Ella, boundaries. The gang goes ahead and exposes that she’s actually working with the Sinnerman and not really kidnapped - she’s paying back a “deal” she made which ended up killing someone which she wasn’t exactly a fan of (despite Roller Derby which seems a real attempt to murder people brutally) and suitably intimidated her to make her obey. Which literally means just asking the same questions and getting the same non-answers as before. So he brings in Maze to do some torture - and she fails. Ok… really? I mean, Maze was Hell’s chief torturer? And she fails? She even unleashes Nickelback on him. And the Sinnerman is left looking… not all that bad? All things considered? I think we need to analyse exactly how he can resist literally inhuman, unholy torture? Because this needs expanding. What? We talk about this NOW?! Really? Because I thought that how Amenadiel lost his powers was a mystery? And how many times have we seen Lucifer nearly kill people? How many times was he just stopped? How many times did he use super strength to toss people around in moments that could easily have been fatal? I’m not entirely convinced he hasn’t killed people - or didn’t that apply when he was devil-faced? There’s a lot of questions here and I’m not thrilled that the answer seems to be “retcon”. And I would say it’s a little bizarre that Lucifer recognised him from the shape of a tattoo and an old picture but I guess in this case we could say it’s more jogging his memory. And it adds to the ongoing feel of this episode as ultra clumsy. 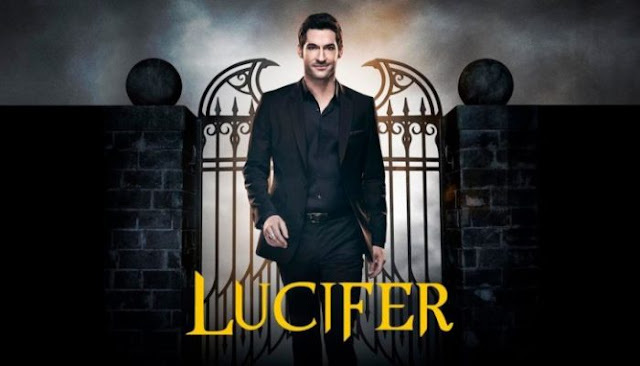 The Sinnerman’s motives make no sense, Cain’s motives are bizarre, Lucifer’s not much more sensible, the Chloe/Lucifer conflict is drawn out and doesn’t make a great deal of sense since we’re long past revelation and there seems to be a huge retcon in the nature of angels going on. It’s clumsy and rushed and a really awkward prequel to Cain’s appearance. And I kind of feel like the plot changed half way? Like they were going with Sinnerman and then someone said “hey what about Cain” and the writer’s room all replied “oh that’s awesome!” and they hastily scrapped the Sinnerman storyline to try and make a massive leap onto this new idea?